Britepaths Archives - Read. Think. Act. (July 28, 2017) Catherine Read talks with Terri Siggins, Project Coordinator for the Fairfax Food Council, and Christina Garris, Chair of the Fairfax Food Council and the Programs Director for Britepaths, a local non-profit that is one of the member organizations. 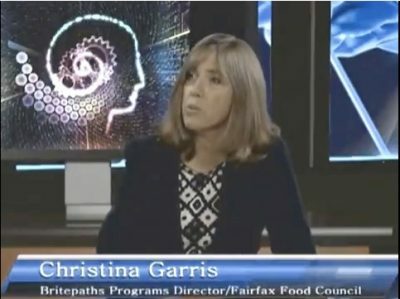 In the first segment, Terri Siggins outlines how the Fairfax Food Council came about as a result of a comprehensive strategic planning process undertaken by the Fairfax County Health Department in 2008. That process focused on identifying health needs in the county and in 2013 the Partnership for Healthier Fairfax developed CHIP – Community Health Improvement Plan. CHIP identified healthy eating as a key component of that plan and out of that process the Fairfax Food Council was born. In the Spring of 2015 the Fairfax Food Council initiated a Community Food Assessment focusing on three communities in the county: Mount Vernon, Bailey’s Crossroads and the Reston/Herndon area. These are considered “high needs” communities. The assessment provided the guiding principles for the Fairfax Food Council and helped to identify “pockets of need” that exist within larger communities. The Food4Thought program that provides food to students on weekends was developed out of an identified need at the Marshall Road Elementary School in Vienna, VA. Students eligible for free and reduced school lunches often did not have access to food over the weekend. The school’s principal, social worker and PTA worked with Britepaths to collect, coordinate and distribute food to those students in a way that maintained their privacy and dignity. The Food4Thought program continues to expand to other area elementary schools with each new school year. It’s an example of the collaborative nature of meeting identified needs and adapting to specific circumstances by school. One of the initiatives of the Fairfax Food Council is to create partnerships and collaboration among government agencies, non-profits, faith communities, businesses, schools and individual community members. Currently the council is funded by a grant from the Virginia Foundation for Healthy Youth and is housed within the Fairfax County Health Department. That grant carries them through July of 2018 at which time they will continue to look for other sources of funding to help expand their programs and bring on staff members. The Fairfax Food Council has three work groups: Food Access, Urban Agriculture and Food Literacy. The Food Literacy project has developed templates for area food pantries to use in educating those they serve about nutrition and healthy eating. The Capital Area Food Bank is a member of the council and recently changed their policies to exclude donations of junk food and candy to their pantries. One of the templates they have developed is a guide for food pantries to use with donors in helping to guide their donations toward healthier items and “most requested” needs. Christina Garris talks about the pivot toward grocery gift cards that Britepaths made several years ago and the benefit to families who are also in their financial literacy classes to learn budgeting. The Our Daily Veggies vouchers developed in collaboration with area farmer’s markets are also part of a larger program of Healthy Eating Workshops that focus on healthier meal preparation. With a grant from the USDA, the Fairfax Food Council has launched a SNAP Matching Program that allows SNAP recipients to buy $10 worth of produce at a participating farmer’s market for only $5. Here in Northern Virginia food access is a greater problem than food deserts which makes fresh foods more difficult to obtain or more expensive if purchased through convenience stores. In addition to the collaborative partnerships the Fairfax Food Council is pulling together, they invite individual members of the community to participate in any or all of their working groups. Monthly meetings are held at the Kelly Square Health Department Offices and the schedule is posted online. A focus on the social determinants of health outcomes is entering the lexicon of how we talk about healthy communities and the wellness of individuals within those communities. The Fairfax Food Council will continue to innovate, educate and create the tools necessary to help ensure healthy communities here in Fairfax County. You can also follow them on Facebook. (June 27 2017) Catherine Read talks with several members of the Collect for Kids initiative, which is a collaborative effort of 15+ organizations that collect and distribute school supplies to students eligible for free and reduced lunches. In Fairfax County, over 50,000 students meet those eligibility requirements. The Collect for Kids organizations include some for-profit companies like Walmart and Apple Federal Credit Union, non-profits such as FACETS and NVFS, and agencies such as Fairfax County’s Office of Public-Private Partnerships (OP3) working together in a decentralized effort to collect and distribute these supplies efficiently. 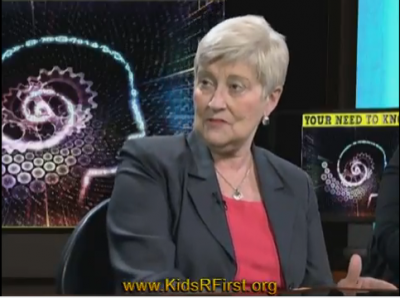 In the first segment Susan Ungerer, a retired teacher, talks about how she started the all volunteer non-profit Kids R First which is now part of this larger Collect for Kids collaboration. It began in her garage and quickly outgrew the space. Sherry Noud, a school social worker with the Fairfax County Public Schools Office of Business and Community Partnerships, talks about the system of referrals that identifies the students who need school supplies. The Office of Social Work Services is instrumental in identifying students who need these supports. She also points out that school supplies are needed throughout the year and it’s not a need that is fully met in the first few weeks of the school year. Sherry also talks about the organizations that collect the backpacks for those school supplies and they include Cornerstones, Western Fairfax Christian Ministries and Britepaths. 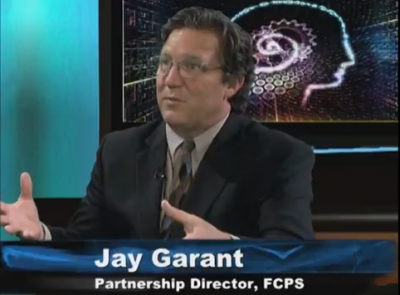 In the second segment, Jay Garant, Program Director for the Fairfax County Public Schools Office of Business and Community Partnerships, talks about the growth of the program from 2011 when they served 16,000 FCPS students to 2016 when they distributed supplies to over 37,000 students. Joanne Walton, Seasonal Programs Manager for Britepaths outlines the efforts they make to maximize buying power through bulk purchases of school supplies. One dollar donated through www.CollectforKids.org or one of their partner organizations results in $3 worth of school supplies because of quantity purchasing. Jay Garant estimates that $6 to $10 donated will outfit a student with a backpack of necessary school supplies to start the school year. The Collect for Kids School Supply Drive kicks off July 1st. In August, the supplies will be sorted and distributed prior to the first day of school on August 28th. The supply drive will continue after the start of the school year outside retailers such as Walmart as the program continues to acquire the school supplies that will be needed by these students later in the school year. If your business, faith community or service organization would like to set up a school supplies drive, visit www.CollectforKids.org for more information on how to get involved. (Jan. 23, 2017) Catherine read speaks with three Northern Virginia non-profit leaders about the importance of advocacy work to the mission of non-profits focused on human services. 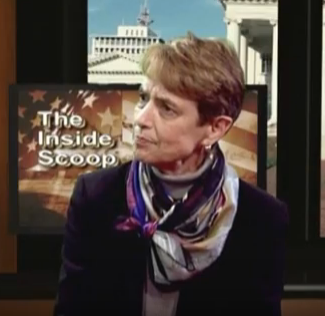 In the first segment she is joined by Mary Agee, the former President & CEO of Northern Virginia Family Service (NVFS) which grew substantially in the 40 years she was there. Mary discusses the importance of advocacy and speaks to a widely held misconception that 501(c)3 organizations are prohibited from this activity because it is “lobbying.” Advocacy at its core is an educational activity designed to inform policy makers from town councils to Capitol Hill. Without the work of non-profits who are on the front lines, there is often little awareness of complex issues that require regulation or resources from the government. In the second segment, Lisa Whetzel, Executive Director of Britepaths (formerly Our Daily Bread, Inc. – Fairfax) talks about advocacy as one of six identified pillars of change in the book Forces for Good. Britepaths only recently adopted an “advocacy policy” and the journey of their board of directors to address advocacy after 30 years of direct service delivery is instructive. Lisa explains that in the face of disappearing housing where our clients live in Fairfax City, she felt that Britepaths must take a stand in advocating for affordable housing. 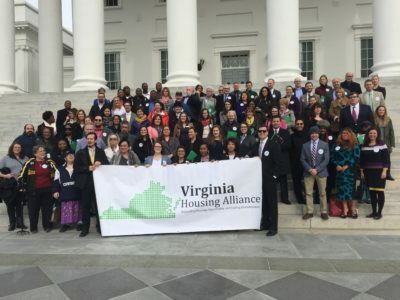 In focusing on which issues are support the core mission of the organization, Britepaths is able to join forces with other groups such as VOICE and the Virginia Housing Alliance to make a real impact on policy makers from Fairfax City to Richmond Virginia. In the third segment, Kerrie Wilson, CEO of Cornerstones (formerly Reston Interfaith) talks about coming from a position where she worked in government relations for a national organization to taking the helm of a regionally based non-profit in 2001. Kerri talks about the efforts to build coalitions around issues like affordable housing which impact low income working families here in Northern Virginia and how their organization has evolved over their four decades of serving the Reston area. The final segment with Mary Agee addresses the importance of cultivating relationships over the long term with elected leaders. She also discusses the importance of having human services organizations include advocacy as a major pillar of their efforts and how boards need to take a leadership role in shaping an advocacy policy. There is also discussion about how to find people in our communities who have the skills, the time and the motivation to help solve some of the many problems people in our community face. How does need connect with resources and what can we do to be more efficient in finding volunteers, supporters and advocates? This show aired as the 2017 Legislative Session in the Commonwealth of Virginia was just underway. For 45 days, Richmond, Virginia, is the destination for people from around the state doing advocacy work around specific issues related to human services. This process is repeated every year where thousands of proposed bills are introduced and the majority of them don’t ever make it to the Governor’s desk. Going forward, it is imperative for non-profits to focus energy and resources on moving the needle forward on policies that improve the quality of life for Virginians in every community. (Aug. 8, 2016) Catherine Read welcomes Lisa Whetzel, Executive Director of Britepaths, to discuss the organization’s re-branding. On July 21st, the non-profit known as Our Daily Bread, Inc. – Fairfax for 32 years, announced the organization’s new name. The discussion around rebranding has taken place over the course of the last five years as it became obvious that the name was no longer an adequate descriptor for the many services and programs offered by the organization. Thirty-two years ago, a group of faith communities came together to provide food to low income residents of Fairfax, VA, who struggled with food insecurity. For many years, providing food was the core mission of Our Daily Bread (ODB). When Lisa Whetzel joined ODB in 2005 as a volunteer, she started a financial literacy program. The goal of this program was to help families with basic budgeting and to teach them better financial skills. 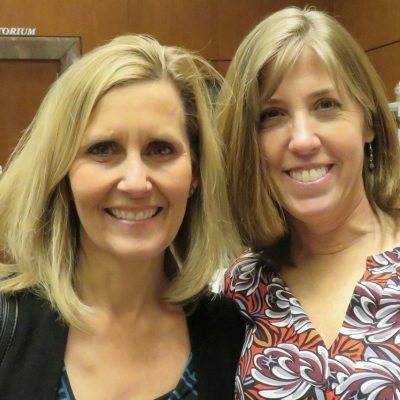 As Lisa stepped into the role of Executive Director and Marcelle Miles was hired to oversee the Financial Literacy Program, it became increasingly more important as a core service with outreach now taking place through numerous other non-profits in the Northern Virginia area. Christina Garris who oversaw the food program was tasked with launching Project Bridge and identifying candidates who would benefit from one-on-one mentoring tailored to their specific challenges. 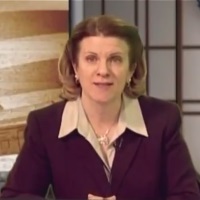 In the final segment of the show, Development Manager Jennifer Rose goes over other programs that have evolved or been added over the years: The Back to School program that provides backpacks and school supplies to area children; The Holiday program that serves Fairfax County families whose children receive free lunches to provide them with Thanksgiving and Christmas meals and gifts; The Food for Thought program that sends food home on the weekends to school children who qualify for food assistance; and the Naomi Project which mentors at-risk mothers through their pregnancies and the first months of parenthood. Given the growth and expansion of services over the past three decades, it made sense to change the name of the organization and rebrand with something that is more inclusive of the many unique “paths” that clients take in order to reach a place of stability and self sufficiency.